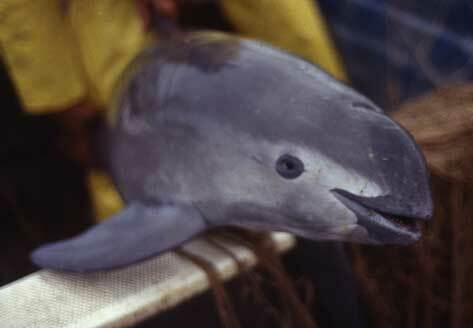 One of the most rare species of porpoise is the vaquita. 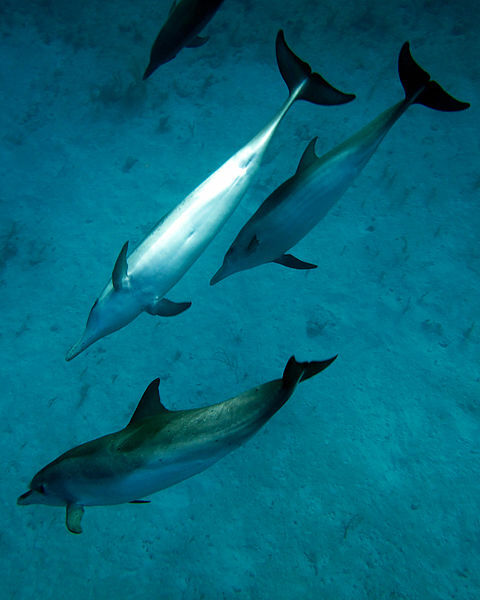 It is also known as the Cochito, Gulf of California Porpoise, Gulf of California Harbor Porpoise, Gulf Porpoise, Marsouin du Golf de Californie, and the Hafenscheinswal. The word vaquita itself is Spanish for “little cow”. As its other names suggest, it is endemic to the northern region of the Gulf of California. 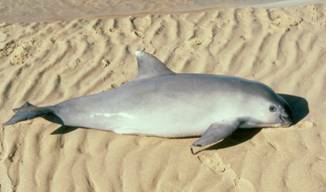 It is estimated that there are only 100 to 300 individual vaquitas alive today. Vaquitas have a classic porpoise shape. This means that it is stocky and curved into a star-shape when it is viewed from the side. 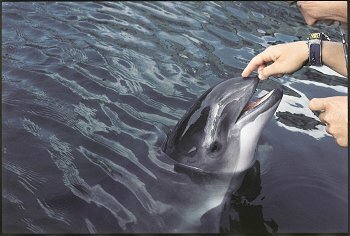 It is one of the smallest porpoises, and individuals may grow to only 150 cm long. They weigh up to 50 kilograms. They have large black eye rings and lip patches. Its upperside is a dark to medium grey. Its underside is a light grey to off-white. Its flippers are proportionately larger, and its fin is taller. 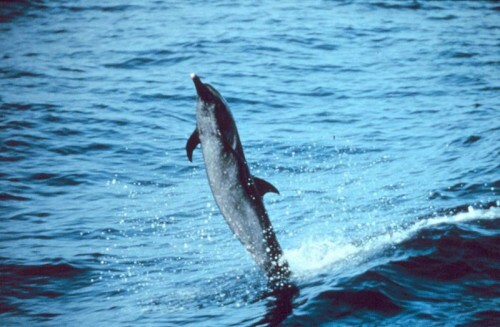 Its skull is smaller and its rostrum is broader and shorter compared to other porpoises. This animal lives in the murky and shallow lagoons along the shoreline of the Gulf of California. It is rarely seen in water deeper than 30 metres. It survives so well in shallow lagoons that its back actually protrudes above the surface. It feeds on mostly fish species. Vaquitas will either occur alone or in a smaller group up to 3 individuals. However, some reports have indicated that they will also form groups of 8 to 10 individuals. Calving occurs during the spring time. Gestation is estimated to be 10 to 11 months, and its maximum life span is about 21 years. This species has never been hunted directly. It is known that the population of this animal is declining and this is most likely because they have been trapped in gill nets which are used to catch totoaba. Between 39 to 84 individuals are killed annually by these gill nets. It is listed by the IUCN as well as the Convention on International Trade in the Endangered Species of Wild Fauna and Flora as being at risk of extinction. In order to try and prevent the extinction of vaquitas, the Mexican Government has created a nature reserve in the upper part of the Gulf of California as well as the Colorado River delta. However, even if they are not killed by the nets, there is concern that the reduced flow of freshwater from the Colorado River due to irrigation and chlorinated pesticides will have a negative effect. In addition, inbreeding may occur.